Remember when you first watched Star Wars: The Force Awakens and thought, as a certain stormtrooper walked away, "I'd recognize that swagger anywhere..."? Wait, you didn't recognize Daniel Craig's jaunty moves in his cameo appearance? 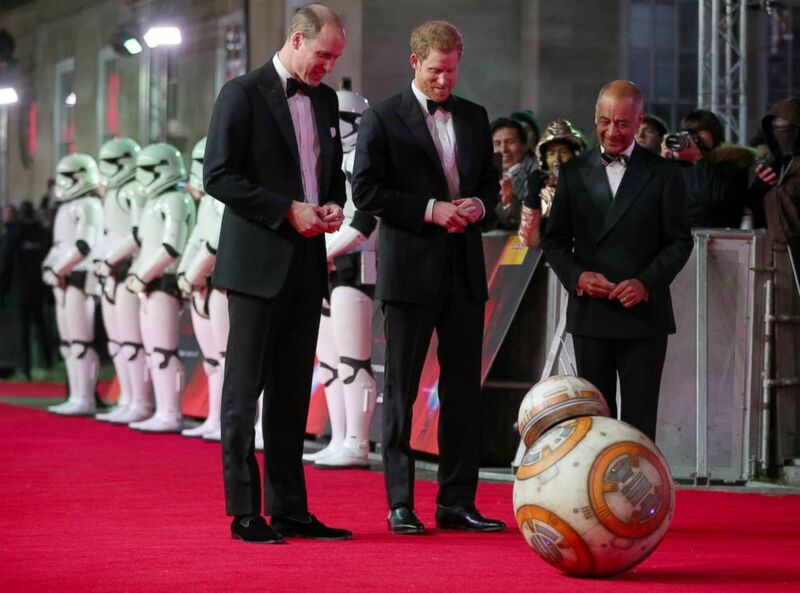 Well, keep your eyes better peeled when you go to see The Last Jedi, because apparently, the movie got the royal treatment! 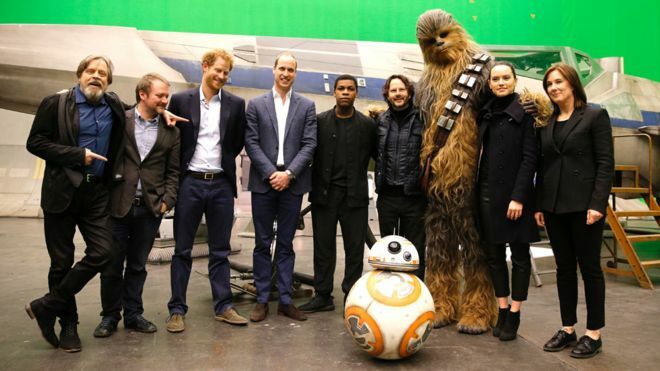 Back in April 2016, Princes William and Harry visited the set of The Last Jedi, and were rumored to have filmed scenes in disguise. 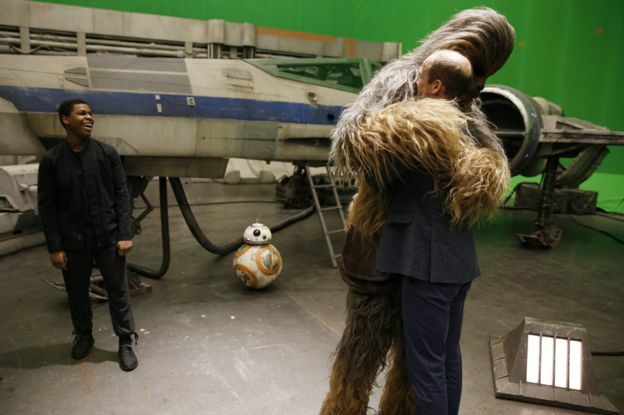 Now, in an interview with Hollywood Reporter, John Boyega, who plays Finn in the film, confirms that the royal pair were recorded in a scene with him, "wrapped in stormtroopers costumes." Also supposedly disguised in the scene? None other than Tom Hardy. It'll be a fun guessing game of who's who in the movie, but my hope? I'll be so wrapped up in the action and adventure that I'll forget to keep an eye out for them!